By using business intelligence data for descriptive analytics, radiologists can run their practices more efficiently and effectively by using data to effect change. This is so important in the current environment where radiologists are consistently being asked to do more with less, and where a simple increase in volume is no longer a viable remedy to the problem. The old adage to "work smarter, not harder" certainly applies to both radiology practice managers and physician owners in this sense. Business intelligence data can create a practice management model that works for radiology groups, with a significant impact on things like day-to-day operations, physician and staff scheduling processes, relationships with customers, and overall job satisfaction of the physicians. Many times, an evolution of the needs of a practice over time will illustrate that a change is needed. It could be during a sustained period of growth, when a practice might be taking on more physician shareholders after its hospital system's customers consolidated; or, it could be an opposite situation, when a group's radiologist might be retiring. When there are thousands of transactional data points at your disposal, business intelligence can really illustrate what the practice is producing, using descriptive analytics to understand what happened in the past and help develop a new model for managing the practice. 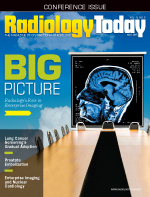 Aggregated data can describe what is happening in a radiology business, but taking that information and using the analysis to advise physicians and boost confidence can help them better manage their workday, which often results in better practice management. In addition, practices can evolve when the use of business intelligence helps them manage what they've always done. The goal is to create a model that works for the practice, a clear understanding of the business as a whole, as well as a "health check" for present operations and a solid foundation for future planning. The task of mining data to inform a decision is daunting, mainly because radiologists are typically more passionate about their work as physicians than they are about running a business. With all that's happening right now in the industry, radiology groups are going to be increasingly called on to use business intelligence to effectively manage resources to keep up with the pressure being put on their businesses. With no increase expected in the number of hours in a day, practice managers and physician owners have to look at the options the data are offering as quality evidence they can use to institute effective changes that will positively impact the business, rather than asking radiologists to increase their workload. • revenue cycle management systems. The challenge in this is that the information exists in organizational silos, isolated from the other information, and is rarely looked at collectively. That's why it is important that groups analyze the information to show all the different factors weighted together. The process of physician scheduling and shift modeling offers a great example of how business intelligence can yield practicality. Many practices schedule physicians and staff based on a legacy model, referring to "the way it has always been done." Radiologists typically complete a rotation in their practice schedules, so the distribution of work is equitable, or is perceived as such. When the industry transitioned to a PACS environment, and radiologists moved from reading the film that was put in front of them to downloading images and reading from any location, practices had an opportunity to become virtual and were no longer confined or challenged by their geography. This ability to read across locations brought the opportunity to improve productivity immediately without investment but made maintaining equality through scheduling alone more difficult. Furthermore, several years into the PACS revolution, practices now desire more productivity improvements than those easily gained at first. Both challenges may be met by mastering practice data. Using transactional data, practices can make adjustments down to the shift level, and one small change can make a big difference, whether it is altering shift start and end times, or staffing a site based on the individual performance of the physician. Though the identifying data can be removed when the aggregate physician performance data are presented to the group, a practice can still see how effective each radiologist's schedule may be for him or her based on the pay-for-performance criteria, and changes can be implemented based on that information. Because an 8 AM to 5 PM model may not be the best scheduling option for all physicians, a group might use the model to see when work is ready to be interpreted vs staffing when the hospital is busy. Groups can also tell when a hospital customer slows down between 11 AM and 1 PM to cycle through a lunch schedule, for example. It may be more effective for a radiologist to assist another facility during that time, or provide specialty reads where there is a need, such as at the breast imaging center. A new model could be ideal in creating each radiologist's shift with a similar amount of work intensity, volume, and RVUs, and then it doesn't become as important to move people through a rotation in order to feed the perception of equivalent workloads for everyone. In other words, shift modeling creates equitable work, and in most cases, a less stressful workday for a group's physicians. Each radiology practice is different, but there are elements within every model that can be used ubiquitously; and there is certainly a need. In creating a practice model using business intelligence, practices should move beyond simply using resources more efficiently and effectively; instead, they should embrace the challenge to enhance the value of the practice by using business intelligence data to advise shareholders on key decisions. Because the culture of every practice is also different, each should choose the management model that works best for them. — Jana Landreth, CPA, MBA, is a director of practice management with Zotec Partners.